assumed to be pelagic. 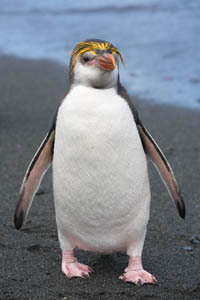 They are not to be confused with the similar named King Penguin or Emperor Penguin. mixed-species pairs in the wild. nesting in scrapes on the ground up to a mile inland. The breeding season begins in September with laying starting in October. in a weeded area. They put plants and stones inside the nest. Most of the time, two eggs are often laid, however, only one survives. The egg is kept warm by both parents for 35 days. This is done by rotating 12 day shifts. After hatching, the male watches out for the chick for 10 to 20 days and the female brings food for both of them. The parents continue to feed it 2 to 3 times a day. After brooding the chick for three weeks, both parents forage at sea while the chicks form large creches. When the chick is about 65 days old it will have its adult feathersand goes on its own. 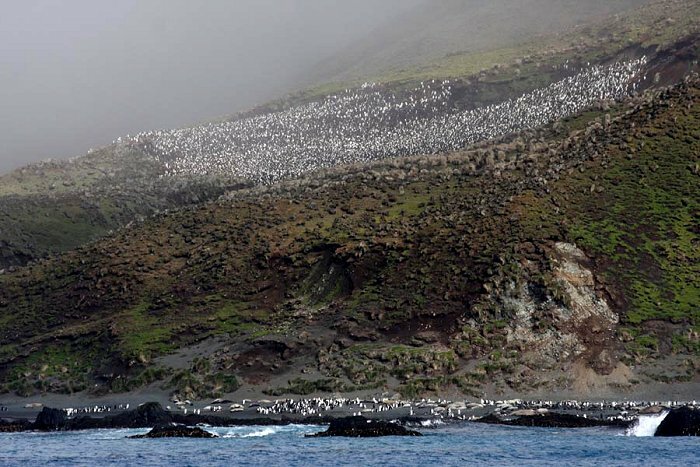 Young adults usually return to the colony to breed after six years. being taken each year. 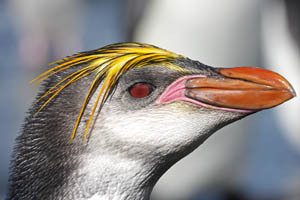 Since the end of penguin hunting on Macquarie the numbers have climbed to 850,000 pairs. The scientific name commemorates the German zoologist Hermann Schlegel. 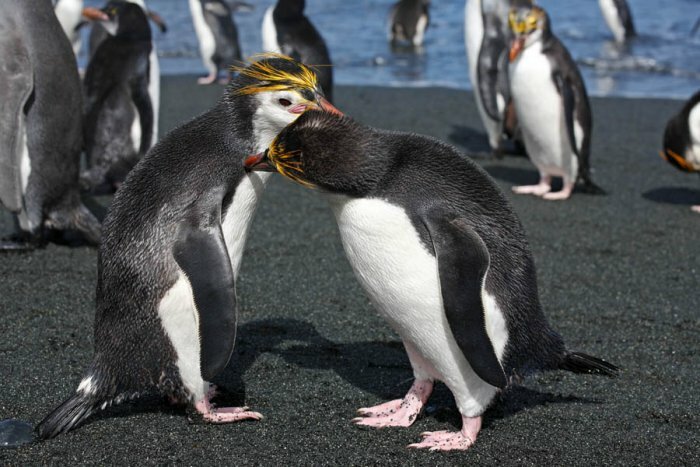 Royal penguins on the beach at Crozet island, in the southern Indian Ocean.